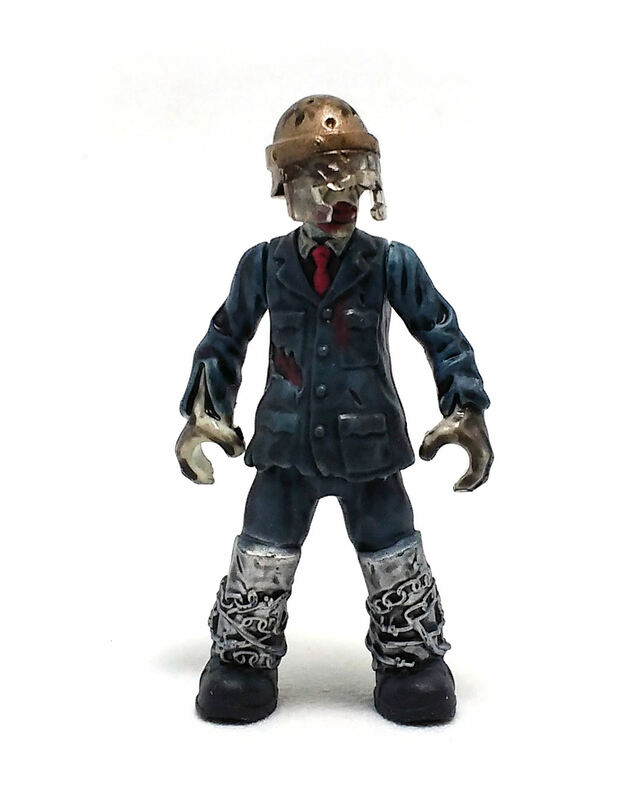 First off, the subject of this set is intriguing because instead of the traditional zombie that is at its most dangerous only as part of a mob, Brutus here seems to be some sort of super zombie, as suggested by the amount of gear it has and its apparent ability to wield tools. 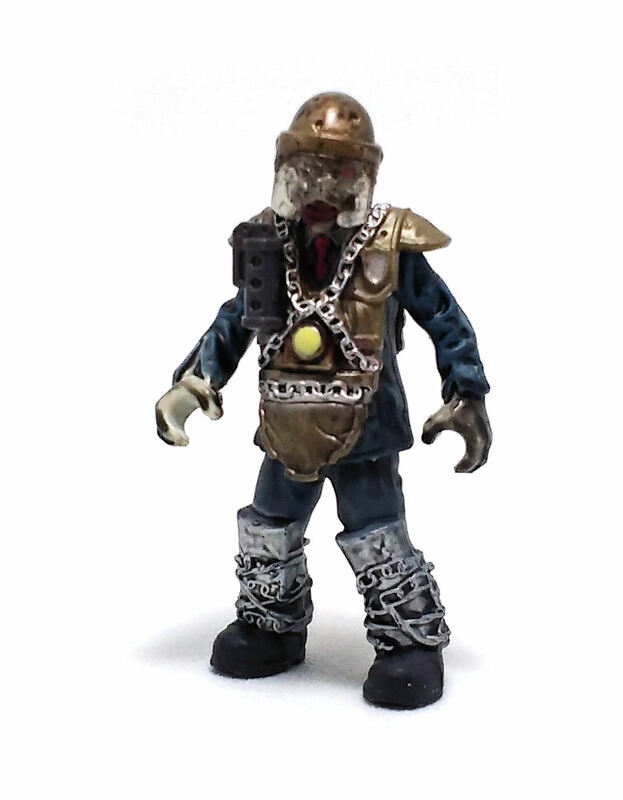 The mold for Brutus is based off the prison guard mold used in another of the larger CoD zombie sets, with a new lower body piece and a new head. Unfortunately, the Mega Bloks zombies are also known for being the least articulated minifigures in the line, having only swivels at the waist and shoulders, along with a ball jointed neck. 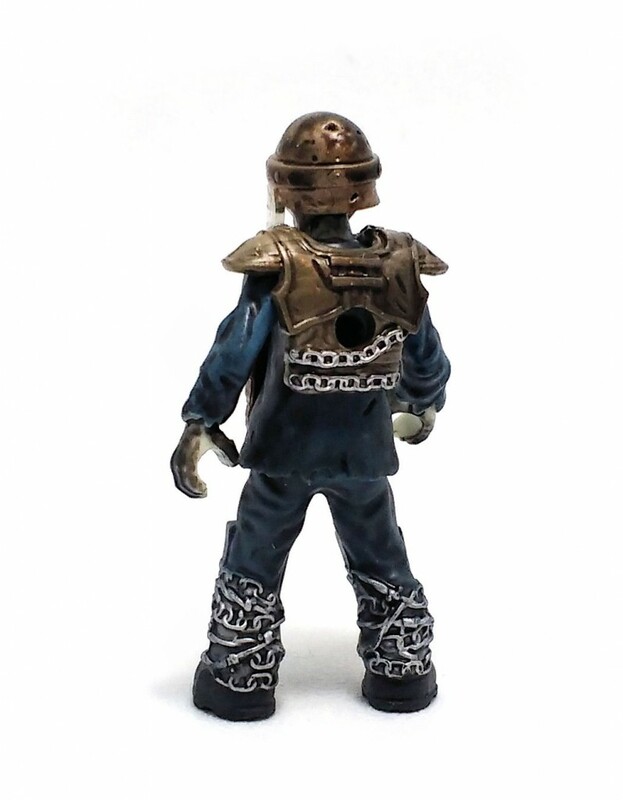 Brutus’ head has a riot helmet glued on, complete with shattered faceplate and he also wears a protective vest with chains sculpted over his torso. 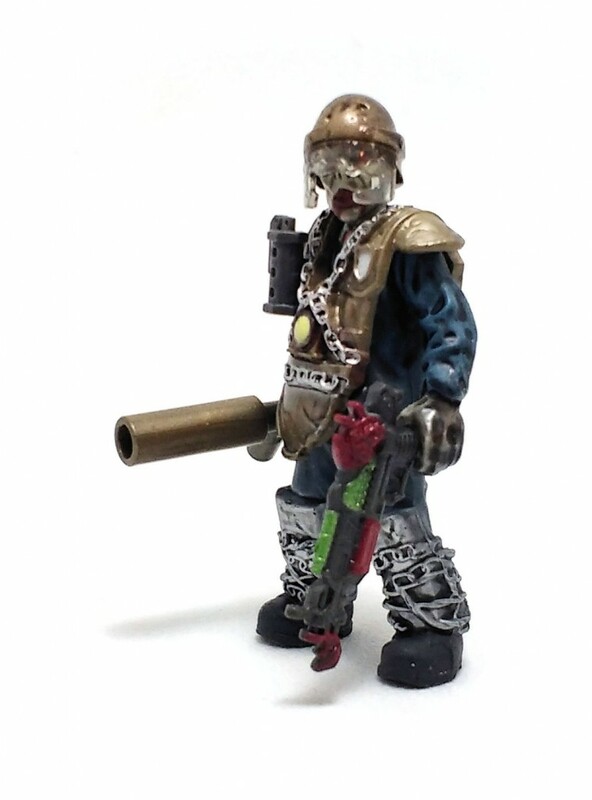 The paintjob on Brutus is quite simple but effective, with a generous shading wash applied all over to bring out the sculpted textures on both the zombie and the gear. I liked how the face underneath the faceplate is fully painted even though that is a detail you can see only at very close range. The rest of the set depicts a section of a cell, with bars from floor to ceiling and an opening door. 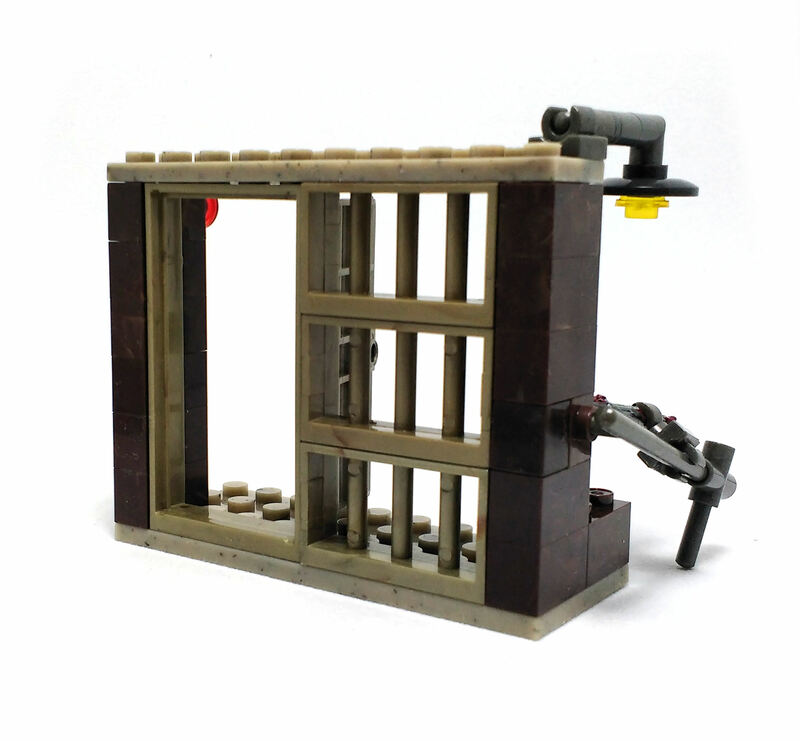 This small piece of terrain is a very easy build, and the end result is quite nice to look at. I could easily see this small piece integrated into a larger structure. 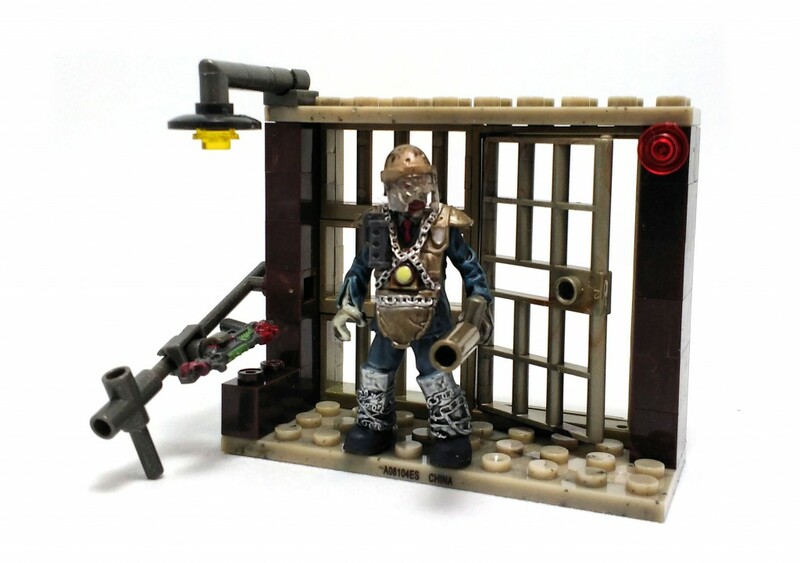 The set provides a few weapons for Brutus to wield. 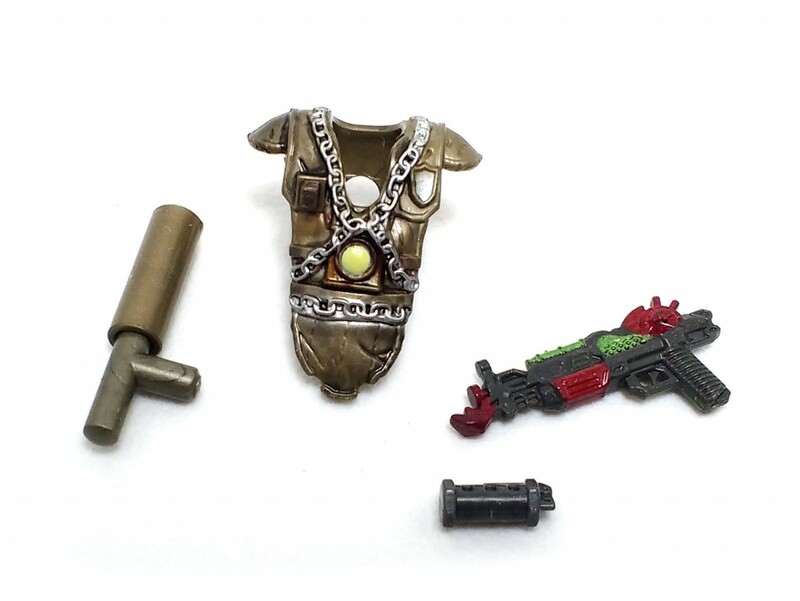 One is a strange gun that looks like something cobbled up together from scrap, a grenade that can be affixed to the vest and a tonfa baton made from a few of the smaller construction elements in the piece inventory. While I am not sure how Brutus relates to the Call of Duty game(s), the set is an interesting addition to my collection and I can totally see Brutus leading a charge of undead across a diorama.